The death has taken place this afternoon (23rd January) of the legendary Roscommon captain Jimmy Murray from Knockcroghery. The popular publican captained the men from the West to All-Ireland glory in 1943 and '44 and was regarded as one of the greatest ever exponents of gaelic football. It is hard to place into words a description of this genial attack leader and we look to the words of another late great, Raymond Smith of the writing world who penned Jimmy Murray and the Men of Roscommon in his popular book 'The Football Immortals'. JIMMY MURRAY AND THE MEN OF ROSCOMMON (An extract from 'The Football Immortals' by Raymond Smith) With ten minutes left for play in the All-Ireland final of 1946, Jimmy Murray, the Roscommon captain, lay on the side-line, blood streaming from a facial injury which had forced him to retire. One of the first-aid men came over to him and remarked: "I'd better wipe the blood from your face so that you will look presentable when you receive the Cup." The first-aid man had good reason to feel convinced that the game was as good as over, for the scoreboard read - Roscommon 1-07; Kerry 0-4. Yet in the space of ten bewildering minutes, Kerry's outstanding full-forward, Paddy Burke and "Gega" O'Connor scored two lightening goals - forcing a draw that was a travesty of justice on the run of play. Joe Keohane remarked to Jimmy Murray afterwards: "We were only looking on at you for long periods to-day, Jimmy." It summed up Roscommon's mastery for fifty minutes of the hour. Murray came back on the field in the dying minutes despite his injury - but victory had been let slip and the damage could not be repaired. Jackie Lyne, who played in the Kerry half-back line that day, maintains that Roscommon slipped up through over-confidence. Jimmy Murray does not put it down to over-confidence but to just one of those things. "The first goal came nearly direct from an innocent-looking sideline kick, taken by "Gega" O'Connor. This set Kerry alight and they caught us off-guard for the second." "It is one match I would dearly love to forget - but I suppose we can never forget it," he smiled. Then, in a way if Roscommon had won, football followers would have been denied the pleasure of seeing a replay that has gone down in football history. "The 1946 replay was one of the finest games of football up to the 1955 Kerry-Dublin final", said Jackie Lyne, while Jerry O'Leary of Killarney also rated it as "one of the best" of the All-Irelands he had seen - and few if any have seen more than Jerry. That 1946 replay marked the end of a glorious chapter of Kerry-Roscommon duels which for dramatic content have only been equaled since by Dublin and Kerry in their most memorable hours. The 1944 final was the prologue, the 1946 replay the epilogue. Roscommon came out of the West with a team of all talents at a time when the public, tiring somewhat of the dominance of Kerry - champions in 1937, '39, '40 and '41 - craved new idols. 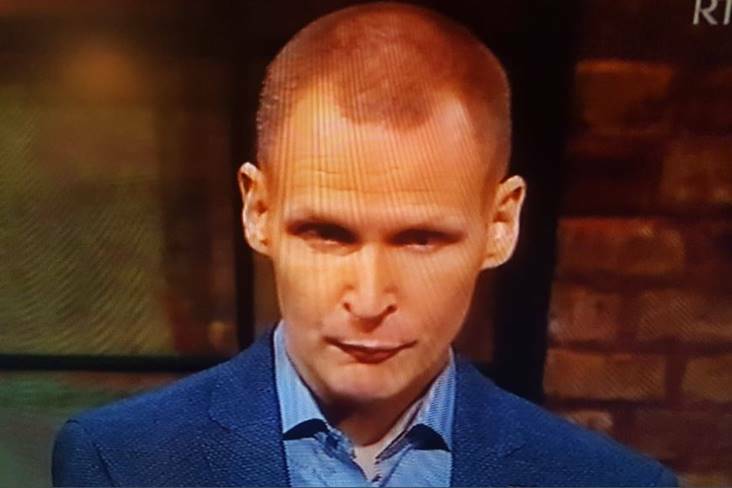 And they found a new idol in Jimmy Murray, the fair haired Roscommon center-forward, the terror of opposing defences with the dash and sureness of his attacking play. Jimmy Murray was not a big man but he made up for his lack of inches by his clever anticipation and positional sense and his ability to beat an opponent with swerve and side-step. As Tommy Murphy pointed out to me, his distribution was first-class, he would sweep low passes out to the wings, to his brother Phelim, a real flier, or to Donal Keenan, who scored points by the hatful from frees with his deadly accurate left foot. But Phelim Murray was equally good as a half-back and Sean Flanagan thinks that he saw few more impressive exhibitions of wing back play than that given by the Knockcroghery man in the 1944 All-Ireland victory over Kerry - "the greatest moment in Roscommon's football history", to quote Donal Keenan. Beside Murray that day were "Big Bill" Carlos, a rock of strength at center back, and forceful Brendan Lynch, and this trio made the most powerful half-back line ever to represent Roscommon. Behind them was a very solid full-back line - Bill Jackson, "Doc" O'Callaghan and Jack Casserley - and Jackson was regarded as one of the soundest corner back men of the period. 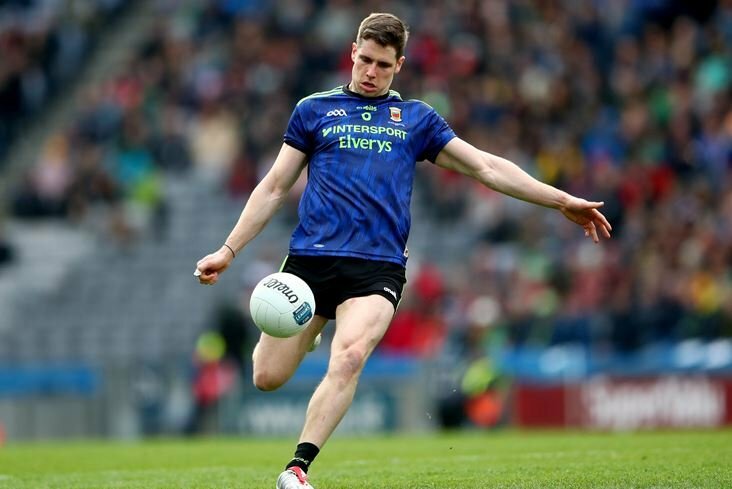 Donal Keenan thinks that the Eamonn Boland-Liam Gilmartin midfield partnership was as good as any in the game and this view has been confirmed by shrewd judges outside Roscommon. John Nallen, for example, made the point to me in Ballyjamesduff one evening that Eamon Boland was one of the most underrated midfielders of all time. "He played consistently well in the center for twelve years, meeting and beating the best men of his day and I think much of Roscommon's strength stemmed from his partnership with Liam Gilmartin." It was significant that when Roscommon had Boland and Gilmartin playing at the peak of their form in 1944 that they left no doubts at all against Kerry but Donal Keenan maintains that the 1946 defeat could be attributed to the fact that Liam Gilmartin was no longer operating beside Eamonn Boland. "Once Liam went, it was the beginning of our slide from the top. He was a far greater footballer than he got credit for and it was indeed a pity we did not have him in 1946." In attack Roscommon had an outstanding goal-getter Frankie Kinlough of the dynamic shot while go-ahead full-forward Jack McQuillan had terrific duels with Keohane, rated by Donal Keenan as the best man he saw in the full-back position. Owensie Hoare played at left-half back in the 1943 Final, in goal in 1944 and at left-corner back in 1946 - a tribute in itself to the Roscommon town man. Notable contributions were also given by John Joe Nerney of Boyle, who made up for his lack of inches by the enthusiasm of his play near goal; Hugh Gibbons, right corner forward in 1944; Dr. Derry McDermott of Mantua, who had been a U.C.G. 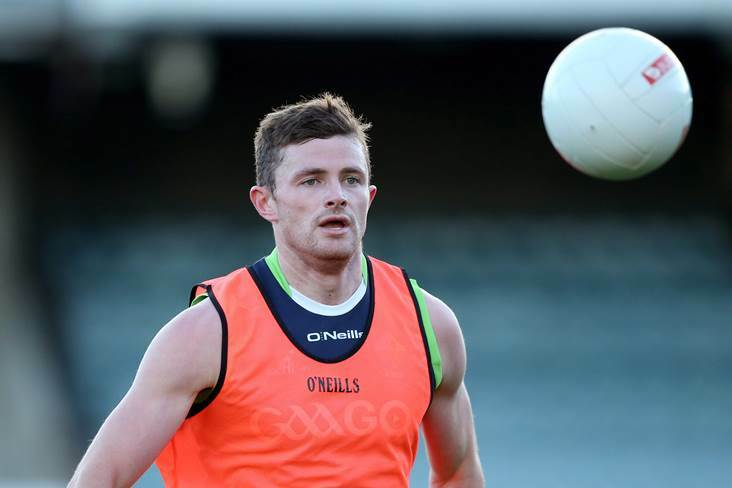 star in Sigerson Cup games. Larry Cummins from Carraghboy, right full in 1943; Frank Glynn of Castlerea, who kept goal the same year; and not overlooking either the men who entered the scene in 1946 and who so nearly saw victory over Kerry - Gerry Dolan in goal, Tom Collins at left half back and John Joe Fallon in the forward line. "As well as been a great player, Jimmy Murray was a captain in the true sense of the word," said Donal Keenan. If Jimmy was the inspiring leader on the field of play, there were men behind the scenes too who directed operations with unwavering enthusiasm and loyalty to the county - Rev. Fr. T. Quigley, President of the Co. Board, Dan O'Rourke, Chairman, John J.Fahy, Secretary and, of course, the trainer, Sergt. Billy Keogh. Michael O'Callaghan said in his work "Six Glorious Years" that Dan O'Rourke, elected Chairman of the Co. Board in 1938, was the man "who did more for football than any other man in the county." And Donal Keenan (who was to succeed to the Chairmanship of the Co. Board) said that it was Dan O'Rourke who really started the Roscommon revival in 1939. A former county player himself, Dan got together a bunch of fine young players and saw to it that they trained every evening in a field beside his home. His enthusiasm paid rich dividends. In the month that the Second World War broke out in Europe - September, 1939 - Roscommon won the All-Ireland minor crown for the first time under the captaincy of Liam Gilmartin and although Jimmy Murray may not have realized it then, his boyhood dream of playing some day in an All-Ireland senior final at Croke Park was not as far away from realisation as he imagined. 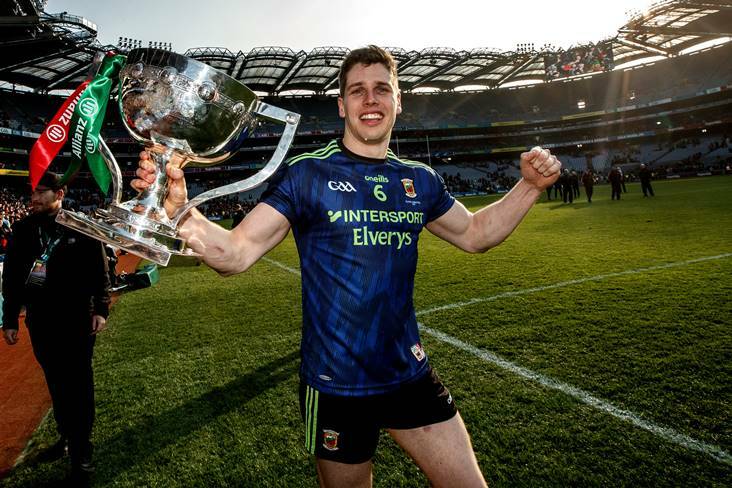 Four years later he would be enjoying his "proudest moment" when he stepped out at Croke Park at the head of the Roscommon side against Cavan in the All-Ireland final. When we reflect to-day on the exploits on Jimmy Murray's 1943-'44 side, it is difficult indeed to imagine that Roscommon were languishing in junior grade in 1939. In the All-Ireland semi-final they faced Limerick - and the Mackey brothers, Mick and John. Limerick gave Roscommon a real fright failing by only five points (2-9 to 2-4). Roscommon failed in the All-Ireland final against Dublin (2-6 to 1-6). Roscommon, however, made amends the following season, winning their first All-Ireland junior crown when defeating Westmeath 2-9 to 0-5, with Jimmy Murray, Donal Keenan and Owensie Hoare in the side and Phelim Murray coming on as a sub near the end. The shape of things to come… Another All-Ireland minor title was won in 1941 and narrow defeats in the Connacht senior finals in 1941 and '42 showed that Roscommon were on the threshold of a major breakthrough in senior grade. It came at last in 1943, July 18 at Roscommon. Roscommon faced Galway in the Connacht final. "This was our greatest victory, " said Brendan Lynch. "Galway had ruled the roost in Connacht without a break from 1940 and had contested the 1940, '41 and '42 All-Ireland finals. Although they had lost all three they, nevertheless, were a strong force with such fine players as Dinny and Tom Sullivan, Charlie Connolly, Jarlath Canavan, one of Galway's finest forwards of the period. The match was a tough test for Roscommon, made all the tougher when Frankie Kinlough, who had given us a great start by sending the ball to the net from twenty-five yards, retired injured. But out of this piece of misfortune we made a discovery that was to win us not alone this match but would have a tremendous bearing on two All-Ireland title wins. Liam Gilmartin came on as a sub, dominating midfield with Eamonn Boland and leaving no doubt as to who were the masters in this sector. The issue was in doubt until ten minutes from the end when Eamonn Boland sent the ball to Donal Keenan and he crashed it home for the decisive goal (2-6 to 0-8). We were champions for the first time in twenty-seven years and I do not think that St. Coman's Park has ever witnessed such scenes of enthusiasm as followed that victory - to me our finest hour." In the 1943 All-Ireland semi-final Roscommon faced Louth - and Eddie Boyle. Of Eddie Boyle, Tommy Murphy said to me in his home in Graiguecullen one evening: "Eddie was the complete fullback. Granted Paddy Prendergast was a wonderful highfielding full-back with the speed to go out as far as midfield to keep in touch with Kevin Heffernan. Remember, though, that he had two outstanding corner-backs beside him in Willie Casey and Sean Flanagan and could afford to come. Eddie Boyle starred on Louth teams that could not be regarded as great; he knew when to come and when to stay; he had all the attributes you look for in a great player and I mark him down as the finest full-back I have seen." "They say that this was the finest football match we participated in during our time at the top," said Brendan Lynch of the 1943 semi-final. This was football at its best, a pulsating struggle with the issue in doubt until Frankie Kinlough punched a goal from a cross by Donal Keenan a few minutes from the end (3-10 to 3-3). So on September 23, 1943, Roscommon new to the Croke Park scene in senior grade, faced Cavan in the All-Ireland Final - and the odds looked all against them. Jimmy Murray remembers vividly the tingling excitement he felt as he marched at the head of the Roscommon side in the parade; the surging roar with which the crowd greeted them; thinking momentarily of the people back home in his native Knockcroghery, around their radio sets, willing them to victory, shaking hands with Big Tom O'Reilly, the Cavan captain and the 'Croke Park nerves' that afflicted the team in the first twenty minutes at the end of which they found themselves 1-4 to 0-1 in arrears. It was Jimmy Murray himself with a beautifully-taken goal and a point who put Roscommon level in the second half after they had turned over four points behind. It was Donal Keenan who seemed to have the game won when he sent over the bar but John Joe O'Reilly equalised for Cavan with a point from a free on the call of time (1-6 all). The replay was an anti-climax. It was close, rugged and tough - too tough and uncompromising. Suffice it to say for the record that one of the Cavan players received marching orders, the referee was assaulted in a melee after Phelim Murray had boxed over Roscommon's last point and the Central Council took very strong consideration of the referee's report. Roscommon, with quick goals by Frankie Kinlough and Jack McQuillan, took a grip on affairs early on which they never lost. Although Cavan recovered to come within two points of them at half time (2-2 to 2-0) with goals by Joe Stafford and Patsy Boylan, Roscommon finished the stronger to win comfortably enough 2-7 to 2-2. Six miles out from Roscommon town in the village of Knockcroghery - home of the famous St. Patrick's club whose triumphs went hand in hand with Roscommon's, as did Tuam Stars with Galway - you will find the name Murray over a grocery business and licensed premises. Stop by for a moment on your travels - or make time. Stop by too on your way through Tullyvin if you are in Breffni country. For I'll wager you will not meet two more likable personalities than Jimmy Murray and Mick Higgins. Cross the threshold of the Murray premises and you will find a ball hanging from the roof of the bar - the ball used in the 1943 final. It is inscribed with the names of the Roscommon side. The walls are adorned with prints - prints mostly of the memorable Kerry-Roscommon matches. Nostalgia, an indefinable feeling of it, swirls in the air and Jimmy Murray's eyes light up with the old glint of battle as he casts his mind back to the first meeting with Kerry in 1944 - a game that drew an attendance of 79,247. 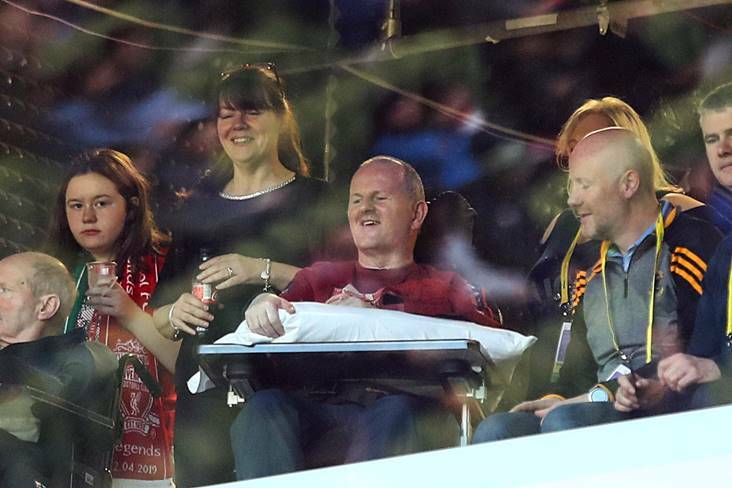 Never before had an attendance such as this been seen at a football final. The clouds of war hung over Europe and we had not left the transport difficulties of the Emergency behind us. Trains that spluttered and groaned their way across the midlands to Dublin were crowded with Roscommon supporters. Youngsters thumbed lifts on the lorries bringing turf to the city; others walked the ninety miles to Dublin setting out days beforehand - one man left Roscommon on his bicycle at midnight on the eve of the match and cycled all through the night. The gates had to be closed before the start of the game. Fifteen minutes from the end of this wonderfully exciting match, as the crowds caught up by the excitement of the struggle, bent like corn in the wind on the embankments, Kerry stood two points in front. There had been so much up to that moment of balance that would linger in the mind. 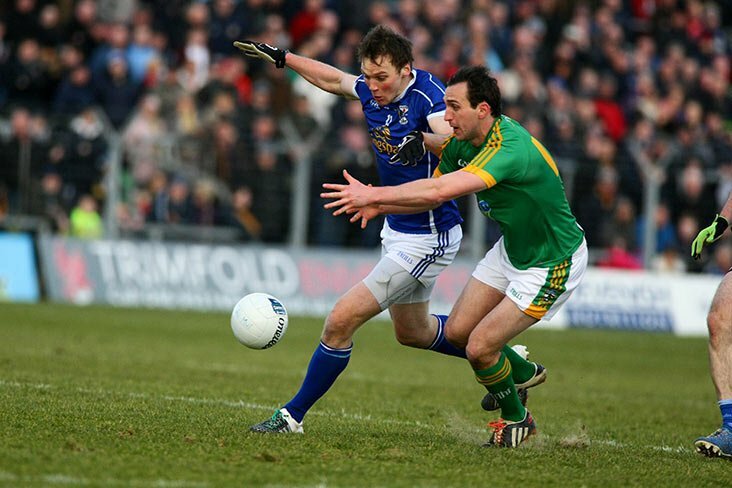 That first goal for Kerry, Eddie Dunne moving in to intercept a centre and shoot past Gerry Dolan. And then Roscommon's answer - Jimmy Murray slipping the ball out to John Joe Nerney on the wing, a flighted centre to Frankie Kinlough who punched it past Danno O'Keefe. With Bill Carlos, Phelim Murray and Brendan Lynch forming a brilliant half-back line and Gilmartin and Boland on top at midfield, Roscommon edged into a two points lead at half-time (1-4 to 1-2) with points by Jimmy Murray and Donal Keenan. Eamonn Boland made the lead three points. Kerry switched Jackie Lyne to centre-back to try and curb the Jimmy Murray menace. Now the Kingdom struck and struck in telling fashion. Paddy Kennedy sent over the bar, Eddie Dunne goaled and Murt Kelly had a point. Thus entering the final phase Roscommon found themselves two points in arrears. A goal for the Kingdom and nothing could halt them. Then it was that Roscommon rose to the challenge and proved themselves real champions. 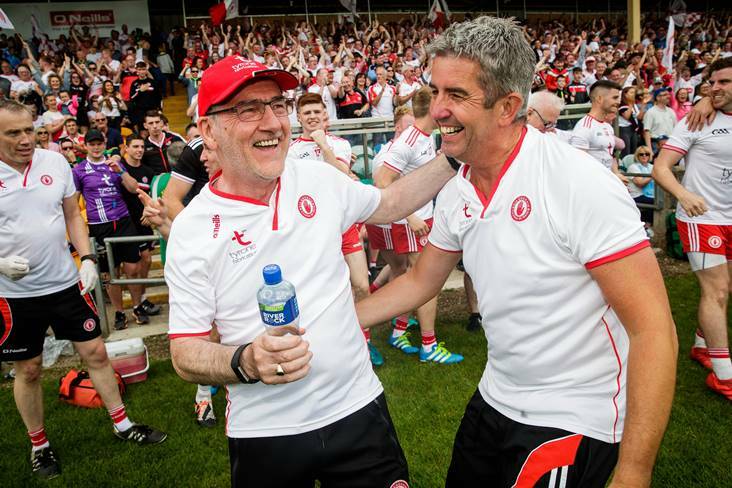 "After the way we had come through the final, beating Sligo (on a replay), Mayo (2-11 to 1-6) in the Connacht Final and Cavan (5-8 to 1-3) in the All-Ireland semi-final, I did not doubt for one moment that we could beat Kerry. What I doubted now was whether the clock would beat us", said Donal Keenan. It was a very constructive attack, he said, and there was a lot of method shown in that Final. "Kerry's backs, especially Joe Keohane and Tadgh Healy were fine high fielders and we played the ball very low to counter their superiority in the air". Jimmy Murray played out almost to midfield, waiting for Boland and Gilmartin to break it down to him and then he would set the wing men moving. Clever tactics. And these tactics and Roscommon's decision not to allow themselves to be rattled but to go on playing football right to the final whistle, paid off. The forward machine clicked into top gear. The Kerry backs were forced to concede a free to keep them out. Donal Keenan, so well on target all that afternoon, made no mistake and as Roscommon came in again, John Joe Nerney placed Keenan for the equalising point. The Roscommon colours were waving everywhere around the ground. There was no holding them now. The finished in the style of real champions, supremely confident in their own capabilities. Jimmy Murray out to Frankie Kinlough, who sent it over the bar to a tremendous roar from the crowd. Another onslaught on the Kerry posts, another free and Keenan, cool and masterly, made it a point. 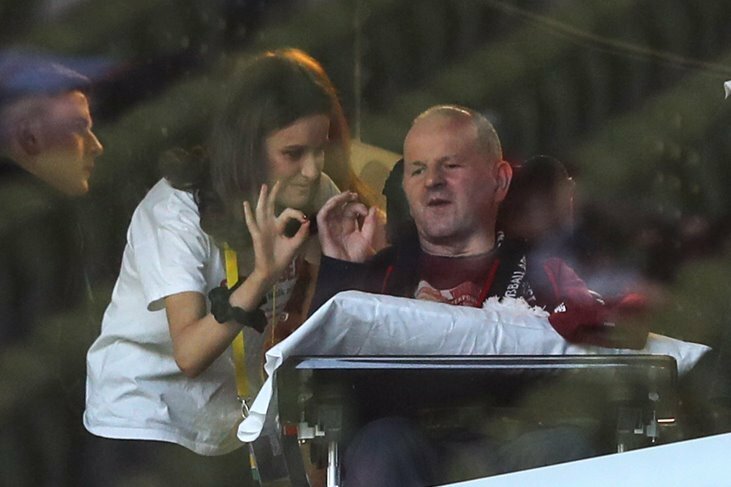 He scored seven in all, missing only one free in the hour and if he had pointed it, he would have created an All-Ireland record by scoring from every placed ball. But Roscommon had won the supreme test. While the victory over Cavan the previous year established them as a fine side, the 1944 triumph over Kerry gave them an entirely different status. It was their finest hour. "It was a fine Kerry team but a Kerry team that had lost its edge, in my opinion", said Brendan Lynch. "It was comprised in the main of men who had campaigned in the Green and Gold since 1937 and '38. They had put up a wonderful fight but youth won the day in the last ten minutes. I was marking the Kerry captain, Paddy Bawn Brosnan. The 'Bawn' was tough and fast and we had some tremendous clashes. Before the end he retired, not from anything I did but from a recurrence of an old injury. It was a great game and a tough game and in winning it we enhanced our position as reigning champions." "The tackling in our games with Kerry was very, very hard but it was clean", said Donal Keenan. "Kerry are great sportsmen", said Jimmy Murray. "They play it as tough as any on the field but immediately the final whistle sounds they will shake hands with you and there is never any ill feeling." Donal Keenan recalled the wonderful welcome accorded the Roscommon side when they returned home after the 1944 success. Bonfires blazed all along the way as they travelled through Knockcroghery to Roscommon town. Fr. Quigley was there to receive them - as he had received them the previous year when they brought home the Sam Maguire for the first time in an equally-tumultous welcome. Roscommon relinquished their Provincial crown to a Henry Kenny-inspired Mayo team, 2-8 to 1-6, in 1945 ("over-confidence beat us", said Donal Keenan) but were back the following season meeting Mayo in the Connacht Final at Ballinasloe on July 21. The final score was 1-4 to 0-6 in Roscommon's favour, the referee ruling that goalie Tom Byrne was behind the goal-line when he stopped Jimmy Murray's shot (Mayo had been leading 0-6 to 0-4 at the time). The goal was hotly disputed by Mayo, who lodged an objection. Roscommon counter-objected but at a meeting of the Connacht Council on Monday, August 25 in Castlerea, the objection and counter-objection were withdrawn and it was agreed to replay the match at Roscommon. Despite outstanding displays for Mayo by the veterans Henry Kenny and Josie Munnelly, Roscommon triumphed convincingly by 1-9 to 1-2. The first meeting of Roscommon and Kerry in 1946 drew an attendance of 75,771 and with Kerry seven points down at half-time one could agree with Jimmy Murray when he said that Roscommon reached the zenith of their power that season even though they failed to crown the year by taking the title. "We played terrific football that season and moved like a perfect machine." Kerry, as we have seen came back in the closing minutes to force a draw, entirely against the run of play. In the magnificent 1946 replay, surpassed only by the 1938 Kerry-Galway drawn game for the quality of the football, Kerry's margin was four points in the end. It was touch and go, however, right up to the last minute. Roscommon had twelve of the side that beat Kerry in 1944, the newcomers being Gerry Dolan (goal), and John Joe Fallon and Tom Collins. Kerry caused a sensation by relegating their captain, Gus Cremin, to the subs. Teddy O'Connor of Killarney was chosen as Paddy Kennedy's midfield partner, with "Gega" O'Connor on the '40' yards mark and Dan Kavanagh in the left corner. 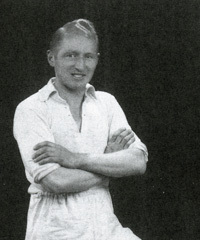 Paddy Kennedy was selected as captain of the team. "It was a disastrous season for us - as well as for the farmers", said Brendan Lynch. "What really beat us in the end was a series of events going back to the Connacht Final against Mayo. On the Sunday we should have been playing Laois in the All-Ireland semi-final, we found ourselves playing Mayo in the replay that had been ordered after their objection. 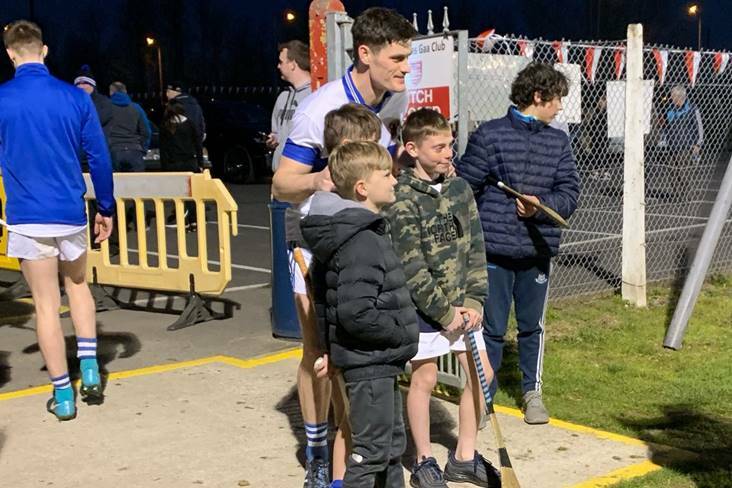 So we had to go into training again for the match against Laois and then, having reached the final and trained for it, we had to put up with a postponement and re-train again. It was obvious that no team could stick it. Kerry, on the other hand, were able to time their final preparation for the Final itself and were enthusiastic and on their toes whereas we were stale." "We were keyed up to concert pitch when we got word on the Friday night before the All-Ireland Final that the game was being put back due to the bad harvest", recalled Jimmy Murray. "We had to begin all over again. Remember that we had already done two weeks of collective training before the Galway match, which we won by three points; another fortnight's training prior to the Connacht final - back into training for the replay; another fortnight's training for the semi-final against Laois, which we won by two points. And then after the drawn game with Kerry we had to go back to our seventh spell of training and by the time October 27 came, we were over the top." 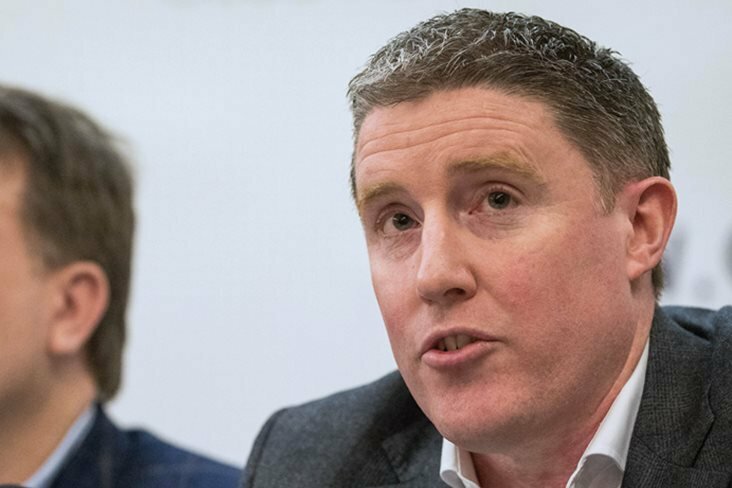 "I remember when it was all over and I was walking off the pitch at Croke Park - I felt a sense of relief that the whole thing was settled at last, even though we had lost", said Brendan Lynch. "I think 1946 was too much for us. But we had a good innings - good fun and good memories". The postponement of the All-Ireland helped Kerry too for they had Bill Casey back at centre-back for the replay. He had the task of marking Jimmy Murray. Fitter than they had been the first day, Kerry, two points down after seven minutes, had drawn level six minutes before half-time but points by Donal Keenan and John Joe Fallon left Roscommon ahead at the interval (0-6 to 0-4). Gerry Dolan saved Roscommon again and again early in the second half. Two points by "Gega" O'Connor leveled the scores. Wonderful football now, and the game was building up to a tremendous climax. Twelve minutes gone and Donal Keenan and Jack McQuillan put Roscommon two points clear. Entering the last quarter Kerry made the move that won the match. Gus Cremin came on as a sub. He opened the way for Paddy Burke to find the net - and the Kingdom were ahead. But not for long. Again Keenan leveled - and only nine minutes to go now. Batt Garvey leveled the scores for the fifth time in the hour when he pointed a free. Another free to Kerry. Gus Cremin sends it in, Bill Carlos clears and Cremin regains possession fifty-five yards out and out of scoring range it seems but he swings one in high - and it is over the bar. The Kerry goal that followed - ball and goalkeeper being swept into the net from "Gega" O'Connor's centre - was incidental. Cremin's point had been decisive. Whatever about the misfortune of the postponement in 1946 that may have caused them to go "over the top", collective training certainly did make Roscommon a supremely fit side in the 1943-'44 triumphs and it was significant that they usually went from strength to strength in the second half. What tactics did they use to beat Kerry in 1944? The trainer, Billy Keogh, put a notice over each player's bed: "Keep the ball low". "It was in the dining hall, in the corridors - in fact everywhere you went - that maxim", recalled Jimmy Murray. "You just could not escape it. And we kept it". Of his duels with Casey he said: "He had the better of matters against me in the replay in 1946. I often found - and John Joe Reilly used to say the same thing - that the man you beat one day could be your master the next. I suppose it depends on how the ball runs for you." Jimmy acknowledged Big Tom, John Joe O'Reilly, Bobby Beggs, Tommy Murphy and Bill Casey as the best men he had faced. "A great team this Roscommon side", summed up Sean Flanagan. "I think it was an incredible achievement to come up to Croke Park and win the All-Ireland in 1943 at the first time of asking. And then they left no doubts in anyone's mind when they defeated Kerry in that thrilling 1944 Final."